How to identify stock market direction? To get good returns out of the investments in share market, one has to be updated with the current market trend. Even a small mistake can cause a big loss. 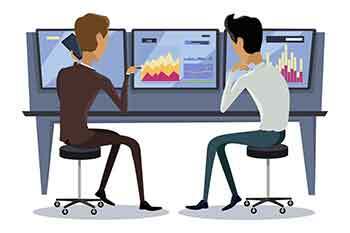 Market trends could be classified based on two criteria - market direction and time period. To get good returns out of the investments in share market, one has to be updated with the current market trend. Even a small mistake can cause a big loss. Market trends could be classified based on two criteria - market direction and time period. 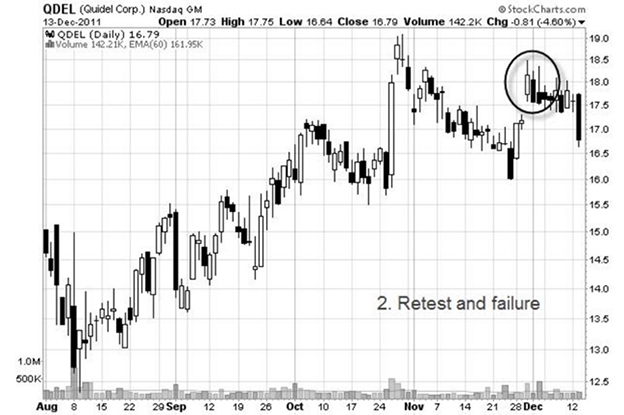 Based on market direction there are two types of trends: Uptrend and downtrend. 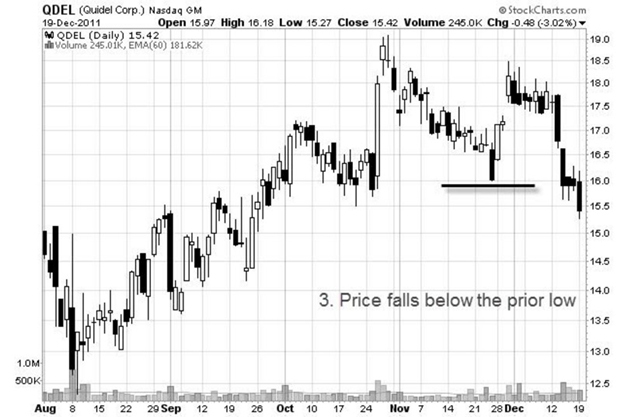 While an uptrend has high highs and low lows, a downtrend has lower highs and higher lows. An uptrend can also be termed as Bullish trend and a downtrend can be termed as Bearish trend. There are three types of market trends based on time period: short, intermediate and long term trends. These can also be termed as minor, secondary and primary trends respectively. One has to carefully study the trend on time scale and make investments accordingly so as to gain well out of it. Primary trend is a long term and the most important trend because it sets the tone for the other two trends. While it generally lasts for one to three years, unless a clear sign of trend reversal, it is considered as the main trend. In case of an uptrend the highs will be constantly higher than the previous one. While for the downtrend the lows will constantly fall lower. The Secondary trend is a temporary price movement within the primary trend in the contrary direction lasting for three weeks to three months. Each primary trend consists of several secondary trends within it. Minor trend is a very short term trend within the secondary trend whose duration lasts for a few days to a week. It is contrary to the direction of a secondary trend but doesn’t impact much. All the three trends give information about the stock prices. But, only the primary and secondary trends hold actual importance when it comes to profit making. Because minor trend’s effect is not too long or deep. While most attention is to be paid to the primary trend, the secondary trend also holds due importance especially when it is a downtrend, and could be used to buy more stocks. These stocks could add up to the profit which can be earned with the ongoing primary uptrend. How to find an ongoing trend? To locate an ongoing trend look for the lows in different time periods like 6 months, 1 year, 3 years and so on. Try to draw a trend line by marking all the lowest lows. 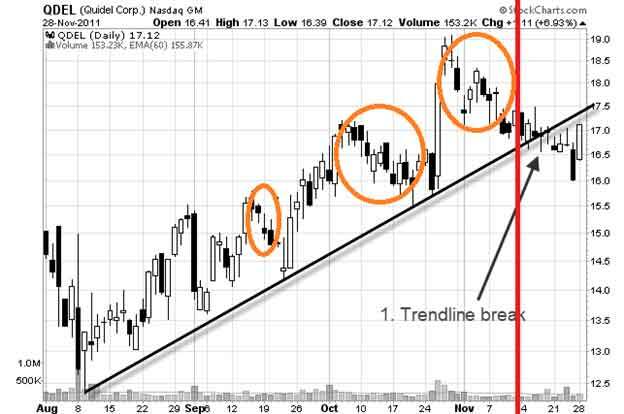 See if the trend line goes upwards or downwards depicting a primary up or a low trend. 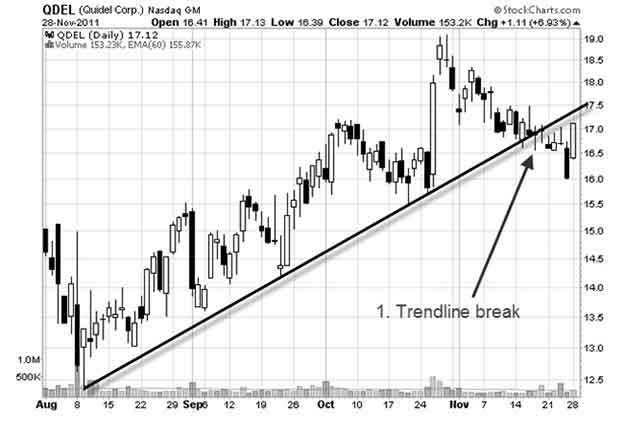 One could easily locate a few secondary trends within a primary trend by seeing the duration of trend lines. How to find a trend reversal? To find a trend reversal one has to look for three things: a broken trend line, a retest and failure, and price falls below the prior low. Like we have drawn a trend line above by marking all the lows, similarly, draw a trend line and check if there is any deviation in the trend line. A broken trend line might not always show a trend reversal, it could just be temporary downfall and trend might continue back. So as to confirm retest in some time. Check if the uptrend still makes higher highs and lower lows, if it fails and the stock no longer makes higher highs, then we have to check for the final confirmation before taking any call on the trend reversal. If the price further continues to fall below the prior low it confirms that there is a trend reversal and is the correct time to jump off the stocks. Most investors invest in an uptrend, stay there until they find any weakness, which indicates a slowdown. This indicator could tell the right time to take the profit and jump off. It is always important to keep an eye on the trend. A recent uptrend may not always indicate a bullish market. A steady rise might look like an uptrend but it might just be a rebound from the previous sharp drop. Therefore, the above analysis comes into the picture to help in determining trends and decision making.